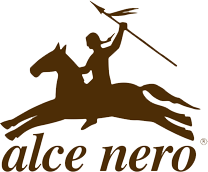 Alce Nero and Amnesty International, together with Internazionale, give life to an hackathon focused on earth, food and their rights. Knowledge, design and action will merge into the discussion of a unique theme, aiming to seed ideas in order to create a new communication’s tool, an alternative publishing project, a business model or a food/grocery product that can become symbol of this reflection. Enrollment is free and open to 100 participants, coming from different professional and academic backgrounds and it will give access to this event that foresees the presence of important journalists, exponents of associations and ONLUS, organic producers, institutions but also chefs, entrepreneurs and experts. Among them: Simone Salvini, Cinzia Scaffidi, Giovanni Dinelli, Lucio Cavazzoni, Tom Mueller, Rossella Muroni, Jonathan Nossiter, Amalia De Simone e Gilles Luneau. All this, held together by a Hackathon that will end with the reward of the best projects, Saturday 4th of October at 4.30 pm at the Mercato Coperto. The jury will be composed by: Andrea Segrè, Alessandro Spaventa, Massimo Monti, Marco Santori e Gianni Rufini.